My first bug out bag was a disaster. I crammed it full of random items leftover from camping trips, but I left out many crucial items and added many unnecessary items. One of the biggest problems, however, was the bag itself. I just grabbed an old backpack out of the back of the closet. It had one main compartment, a smaller compartment on the back, and two little ones on the sides. But that was it. Naturally, my supplies ended up in a big jumble. 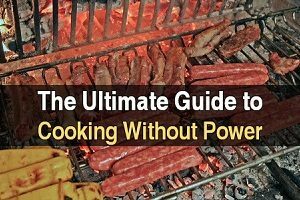 You might think it doesn’t matter what you put your bug out supplies in, but it matters a lot. 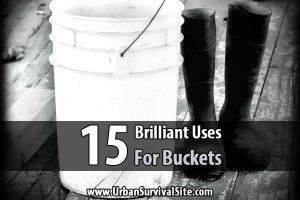 You can’t just grab an old bag out of your attic or basement and fill it up with random survival gear. That’s certainly the cheap way to do it, but it will cause you all sorts of headaches the day you actually have to bug out. In this article, we going to talk about the criteria the bag itself needs to meet. After that, we’ll go over our suggestions for affordable yet high-quality bags. The first thing to consider when looking for a bug out bag is its size. It needs to be large enough to carry all the items you need. But at the same time, it can’t be so big that you end up filling it with more survival equipment than you can carry. In general, backpacks can be divided into three classes: small, medium, and large. Small bags have a capacity of around forty liters, medium bags have a capacity of around sixty liters, and large bags have a capacity of around ninety liters. Assuming this is your first bug out bag, a medium sized bag of around sixty liters is your best option. Forty liters is simply too small to hold all the items you will need, and should only be considered as a bag of extras your child could carry. And a ninety-liter pack is generally designed for serious backpacking trips and is too large to carry for a great distance. Sixty or so liters gives you plenty of room to hold the supplies you need without putting too much weight on your shoulders. The design and arrangement of compartments in your bug out bag is another important feature to look for. A sixty-liter backpack with only one large compartment may not be able to hold as much as a sixty-liter backpack with lots of smaller compartments. 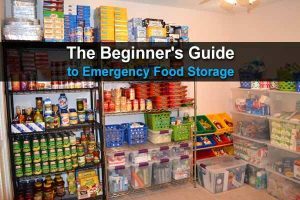 Beyond the number of items that you can carry, having more compartments in your bug out bag makes organization significantly easier and more streamlined. As a general rule of thumb, your bug out bag needs to have one large compartment for carrying larger items and multiple medium and smaller compartments on the front and sides for items you need to be able to access quickly. If you only have one huge compartment, then not only is organization going to be complicated, it’s going to be a pain digging through it for an item you urgently need. In addition, each compartment needs to be closable. 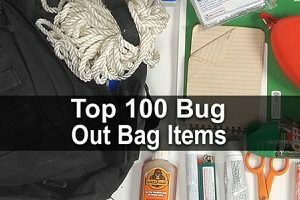 There should be no open compartments in your bug out bag whatsoever, or else items could drop out or moisture or dirt could easily get into them. Most bug out bag compartments can be sealed with straps, zippers, Velcro, or a combination of those. Whether or not you choose a bag with a frame depends on how heavy your bag is going to be. In general, you want your bag to weigh about 15% of your body weight (20% if you’re in good shape), which means it should weight about 30 to 40 pounds for most guys and 25 to 35 pounds for most women. A frameless bag is fine for up to about 30 pounds of weight, but beyond that, you’ll want a bag with a frame. Why? Because a frameless bag won’t distribute the weight properly, which means you’ll have one big ball of weight yanking on your shoulders, hurting your posture and causing back pain. A bag with a frame, on the other hand, will distribute the weight better, taking pressure off your shoulders and transferring it to your hips, making it easier to stand straight and maneuver. If you decide you need a bag with a frame, then the next question is: internal or external? A bag with an internal frame has a frame on the inside, while a bag with an external frame has a frame on the outside. Between the two, internal frame bags are smaller and lighter, while external frame bags are larger, heavier, and designed to hold lots of items. Internal and external frame bags both have advantages and disadvantages. As a general rule of thumb, however, external frame bags are a lot larger, meaning they’ll have a capacity of around ninety liters or more. This is why backpackers who go on week-long hiking trips over the mountains will usually take an external frame backpack. Beyond being able to hold more weight, external frame backpacks allow you to attach items such as coats or sleeping bags to the outside frame. Furthermore, since the frame is on the outside, there is a little bit of space between your back and the pack, which reduces sweating. The main downside is that they’re more top heavy and can make some people feel unstable, which could be dangerous if you’re hiking through rough terrain. Internal frame backpacks, on the other hand, will make you feel more stable and are significantly lighter. And just because the frame is on the inside doesn’t mean they can’t hold enough weight on their own. There are some ninety-liter internal frame backpacks, for example. If you’re going to go with a sixty liter or so backpack for your first bug out bag, then it may be wiser to go with an internal frame simply to reduce weight and so you can be more flexible as you move. Since your bug out bag is designed to hold the items you need to survive, if it isn’t durable enough to actually hold those items within it, then it’s simply not a true bug out bag. Keep in mind that you might be carrying your bag in rough conditions, regardless of whether you’re outside in the woods or in an urban environment. Your bag needs to be able to take some abuse. This is not negotiable. At the very minimum, your bag needs to be water resistant and designed with a tough material that can withstand rough conditions. The straps also need to be thick so that they don’t break under duress. You can research all of this online for the specific bag that you want, obviously, but it’s still a good idea to look at and handle a backpack you’re considering in person so that you can get a good feel for it. Your bug out bag cannot feel cheaply made at all. If it does, keep searching for a better bag. It needs to be military grade and specifically designed for survival or tactical use. Finally, your bug out bag needs to have the right appearance. You may think that camouflage is a decent color to go with, but it will actually make you stand out even more. People who see you with a camouflage bag might think you’re a threat or that you have valuable supplies they can steal. At the same time, you want to be able to hide with your bug out bag. Bright colors such as yellow, orange, or red are going to make it nearly impossible for you to hide from those who seek to do you harm when you’re in the woods. So what do you do? The answer is to go with a darker, natural color that will allow you to hide without labeling you as a law enforcement or military individual. The four colors that best fit this criterion are grey, brown, dark green, and dark blue. 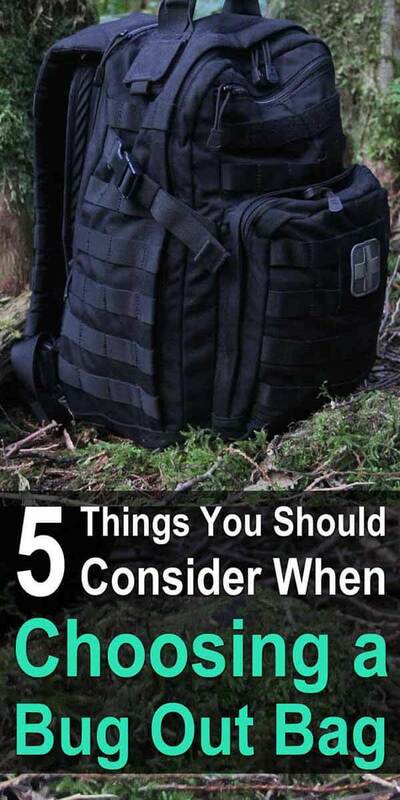 Now that we know the basic criteria to look for when on the market for a bug out bag, we’re going to look at four bags that meet these criteria. 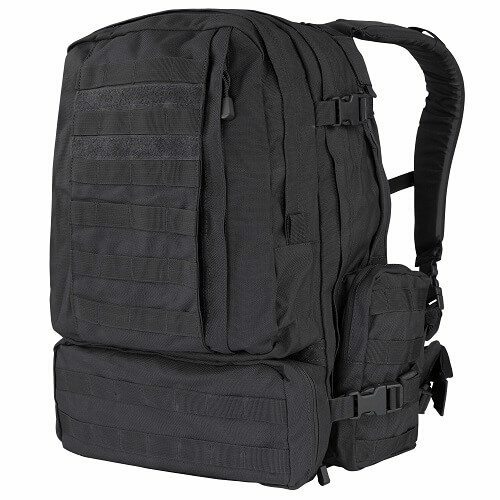 The Exos Bravo Tactical Assault Backpack comes with five different compartments, each of them zippered, so you have enough space to hold your items and keep them organized as well. The rear compartment is designed to hold a bladder so you can keep yourself hydrated as you move, though of course it can be used to fit any other kind of gear. This bag is made from 600D polyester, with particular reinforcement being given to the straps and seams. The shoulder straps are outfitted with a mesh padding that’s ventilated, meaning it’s more comfortable while also strong enough to hold the overall weight of the pack. Inside each compartment are more pockets where you can keep your gear organized. MOLLE webbing has been stitched onto the outside so you can attach even more gear if you need to. Overall, this is a smaller sized but also fully modular and durable backpack that will serve you well as a bug out bag. 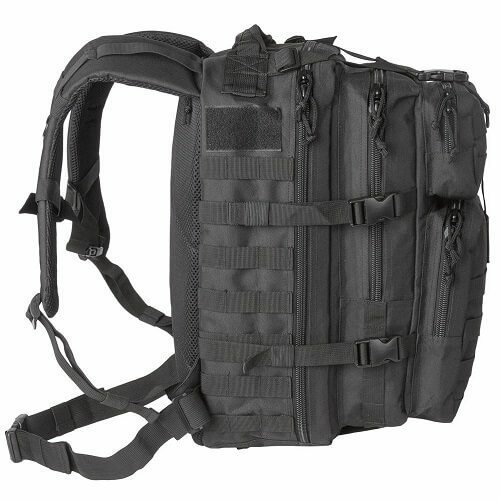 The Paratus is one of the top-rated tactical assault packs on the market. It’s made from a rugged PVC nylon, and unlike most tactical backpacks that only have one large compartment, the Operator’s Pack has two. Inside both of those large compartments are even more organizational pockets. 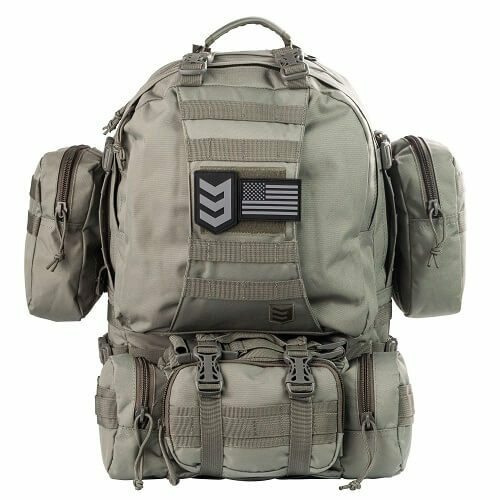 There are also small pockets on the outside, and a multitude of D-rings and places with MOLLE webbing so you can customize your pack as you see fit. Paratus designed this pack to be able to carry as much gear as possible in an organized fashion, and they have largely succeeded. The belt on the Operator’s Pack that wraps around your waist has been enlarged with extra padding, so that it can easily hold the weight of the pack while transferring the weight to your hips rather than your shoulders, and being comfortable at the same time. The carry handle is constructed out of a double sewn nylon webbing so it can fully hold the weight of the pack. The seams all around the pack have been double stitched, and the largest compartment in the rear is fully compatible with a hydration bladder so you can drink while you walk. Another highly recommended bug out bag is the Condor 3 Day Assault Pack. As the name suggests, this pack is designed specifically to hold enough equipment to get you through three days of survival. There are a grand total of seven compartments in this pack, with a main compartment that is designed to hold the largest gear and with straps to hold it down. Meanwhile, the second largest compartment has pockets designed to hold maps, pockets, radios, and writing utensils. There are also two smaller pockets on the side, a bottom pocket with a mesh system for securing more valuable items, and a pocket in the rear for holding a hydration bladder. The Condor Three Day Assault Pack has a wide and padded belt that wraps around your waist, in addition to two shoulder straps that are also wide with extra padding. Another neat feature about the 3 Day Assault Pack that many other bug out bags don’t have is a foam pad on the back that presses into your back for added ergonomics. Grommets are present on each of the compartments in order to drain out water and air. The ALICE Pack is an older design of tactical backpack, but it’s also one that is clearly built to last as has been proven by its stalwart reputation over the past few decades. Soldiers from militaries all over the world, including the United States military, have used the ALICE Pack to haul their gear while trekking through unforgiving environments. It was the ALICE Pack that was used by deployed American soldiers in Vietnam, for example. The ALICE Pack is designed mostly as a military backpack and thus can hold everything from canteens to ammunition to entrenching tools and more. It comes in a variety of sizes, with medium and large being the two most common. While it has been eclipsed in terms of comfort by more modern packs, and while it utilizes metal adjusters to close the compartments rather than zippers or Velcro, there’s no denying that the ALICE Pack is one of the most rugged and versatile packs you can buy. It’s also very affordable in comparison to most other bug out bags out there, with military surplus ALICE Packs being available for only around twenty to thirty dollars. Obviously, there are many other bags out there that would be great to use as a bug out bag. If you can find a good deal on a cheaper bag or a used bag, go for it. Just make sure it’s the right size, has plenty of compartments, is very durable, and won’t draw attention. where can i purchase a dark blue bug out bag? For some reason, that color is hard to find. All I can suggest is searching Amazon. Also of importance is how the bag is packed. Lots of sources for that information so I’ll not elaborate upon it here. Look up REI, Backpacker (the magazine), or even Boy Scouting for online sources. 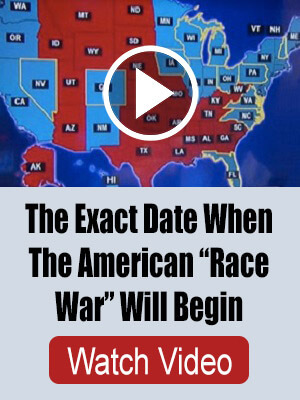 There are even YouTube vids so this information is freely available. On pack choice, that padded belt will make an amazing difference as will sufficient webbing or loops to attach small items like yesterday’s socks now washed and needing to dry. Make sure there is a spot for your water bottle to either rest or attach and can be handily accessed while hiking. Easily reached pockets (again while walking) for maps or other often needed items is another consideration. When you try on your bag, have a list of things to consider and then try out certain things like can you reach some item while walking. If you are just out for enjoyment of the scenery it’s one thing, but if your goal has a definite and perhaps hurried purpose, small things will make a difference in both comfort and efficiency. My backpack is a dark red left over from old hiking days. It won’t stand out because its ‘raincoat’ is a dark color. Very nice, well written article. The bags chosen as examples, however, all have a distinctively “military” appearance, which contradicts what the author was saying about not drawing attention. My main go-bag is the 5.11 Covrt 18. Comes in multiple, mainly subdued colors, as well as all black. Plenty of storage, inside and out. I won’t go over all the awesome features built into this pack, but the list is very lengthy! YouTube “Covrt 18” and you’ll see just how much thought 5.11 put into it’s design. To me, it is the perfect “gray man” style bug out or get home bag. You make a good point about the author contradicting himself. Fortunately, most of these bags come in more than one color. For example, you can get the alice field pack in black instead of camo, although even the black pack still has a military appearance. I think it’s nearly impossible to not draw at least some attention when you’re carrying a heavy-looking bag.